Calling all oyster lovers to get ready for our ‘Seafood Feast. Lunch Buffet’! 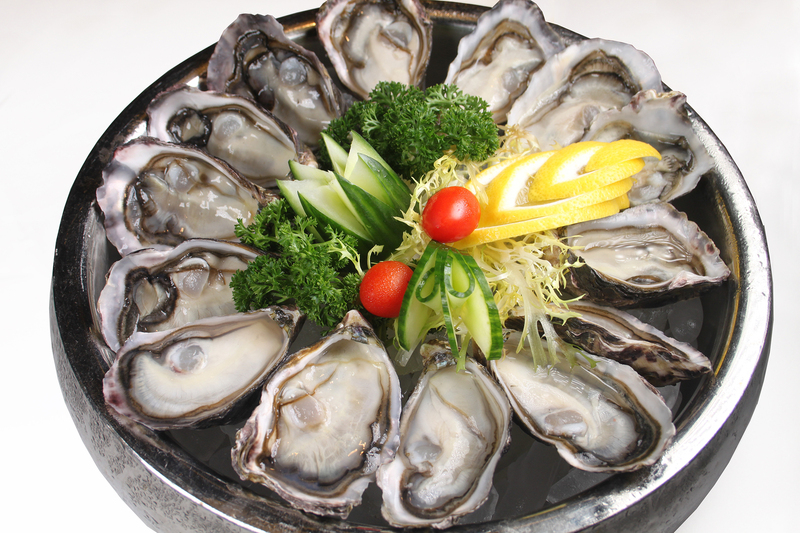 From Monday to Sunday and Public Holiday, New Zealand Oyster will be supplied unlimitedly, along withthe freshest seasonal seafood. Seafood Selection: New Zealand Oyster and Jade Whelk will be served From Monday to Friday; Canadian Snow Crab Leg and New Zealand Oyster will be served From Saturday to Sunday & Public Holiday. Chef Recommendations: Diamond Shell Clam,Blue Mussels Soak with Basil, Herbs Baby Yabbies, Pan Seared Duck Foie Gras with Balsamic, Exquisite Delicacies and Häagen-Dazs Ice Cream. "Like" our Facebook Fan Page or "Follow" Instagram: prudentialhotel, on Monday to Sunday & Public Holiday discount will be offered to 20%. From April 1, 2019 to April 30 2019, you can enjoy 25% discount on Lunch Buffet from Monday to Friday, and 20% discount from Saturday to Sunday & Public Holidays.